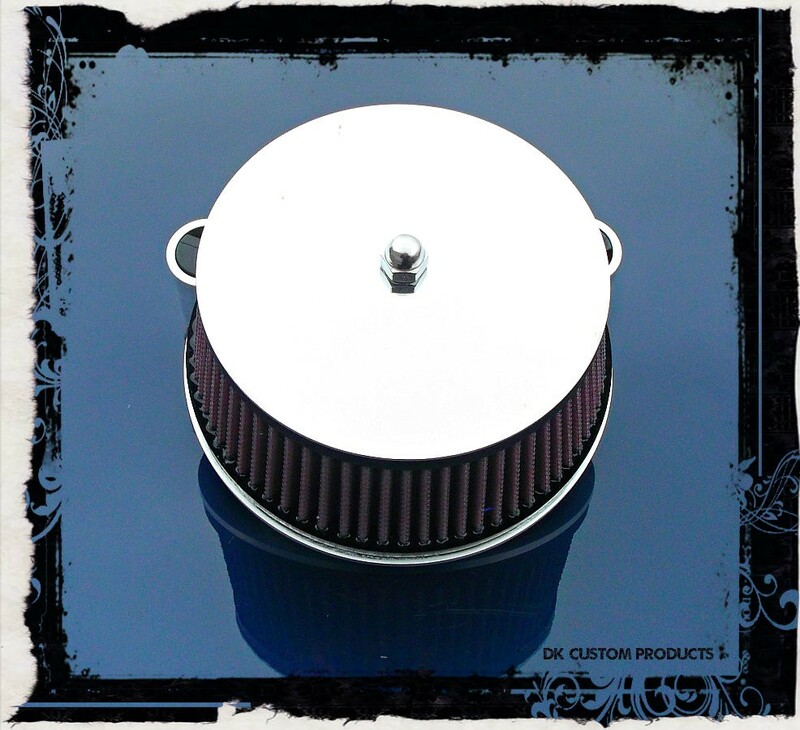 The Pro Billet Stage 1 Air Cleaner will give your Twin Cam the Air it needs to Produce Maximum Power. 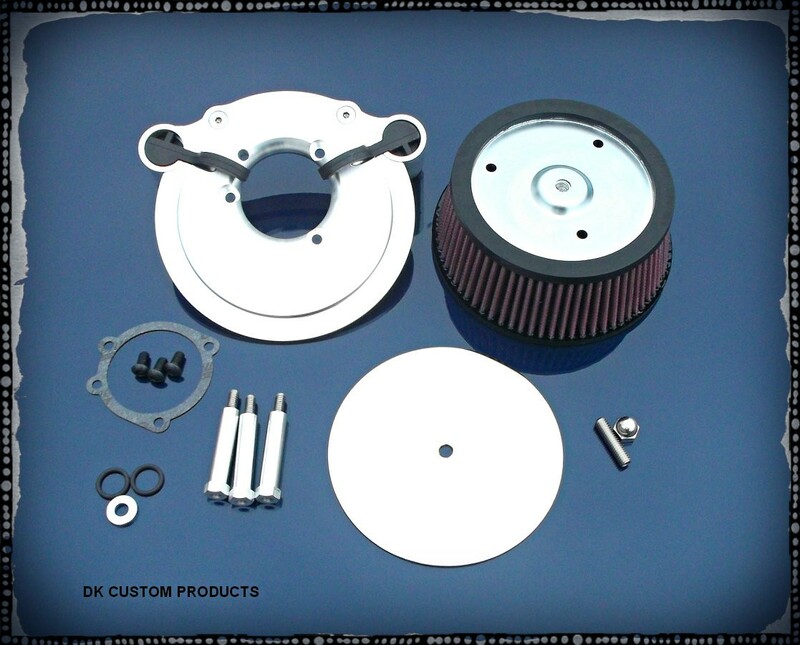 The Backplate is CNC machined from T6061 billet and features a small polished velocity stack. This system is TURN-KEY. It comes with everything needed to replace the restrictive stock air cleaner. The stock breather bolts are utilized, and on the TBW version so are the rubber hoses. E-Z Installation with Step-by-Step Instructions. Manufactured in the USA by Fuel Moto and DK Custom Products, it has a Lifetime Warranty. Filter is re-usable. Simply wash, let dry, & apply oil. This is a must for a Stage 1 Upgrade. This System comes with a Mirrored Chrome Face Plate Cover. You can upgrade with this Pro Billet Air Cleaner without doing any dyno work or adding tuners IF you leave the stock exhaust in place. If you have a 2008-Up Touring Model, it has Throttle by Wire (TBW) and you must check the TBW option above to get the correct backplate. This kit comes with a Stainless Acorn Fastener for the Cover. There is an Optional Rain Sock for riding in heavy or sustained rain. There are Optional A/C Cover Fasteners that you can add to your order above. 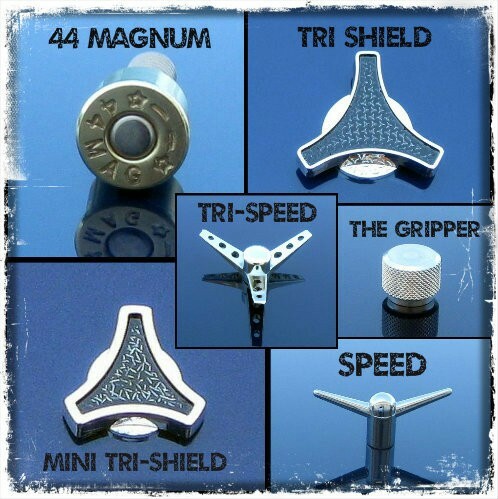 Tri-Speed, Tri-Shield and Mini-Tri-Shield. Any of these will add to Your Bikes Unique Look.